When you look at the graphs on the previous page, it’s clear that the titan in our industry is still Jurgens CI. This is probably because they’ve been building caravans since before Caravan and Outdoor Life magazine was first published! 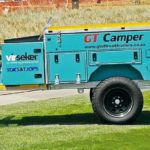 When chatting to my father, Godfrey Castle, who is a legend in the caravan industry, I learnt that in its heyday the Jurgens factory pushed out over 3000 new caravans per year under the watchful eyes of Keith Laing and Michael Delport, who believed quality should come at a price that we could all afford! Today, they produce fewer than half this number. 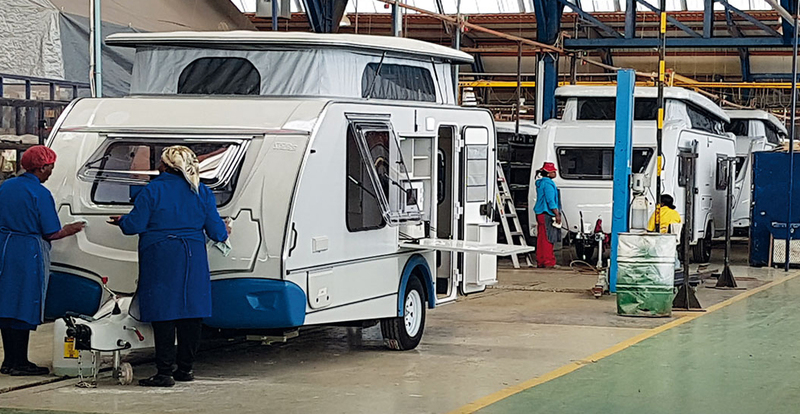 That said, they still manufacture more than 20 different models of caravans locally, and they also have a factory in Australia. Jurgens CI, under new ownership, has had an incredibly challenging 2017, to say the least. The company was sold at the end of 2016, and the new owners walked into a factory which had been brought to a standstill by industrial action, and in which many senior-level personnel had opted to leave the company. 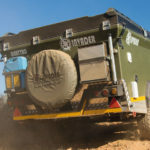 However, we were told by operations manager, Jurgen Adler, that despite the troubles, they persevered, and managed to implement over 1 300 changes and improvements to the models they had inherited from the previous owners − and also managed to launch four new models, including the new Gypsey Lite caravan (a pop-top version is expected soon), the XT Trooper X4 trailer, and the latest off-road trailer, the XT 140 Predator. With the factory back on track, Jurgens says that they are aiming to open new dealerships around the country to increase their visibility and footprint. In tough times for the industry, Jurgen is one of the best men to have on your side to drive growth in the company. He is the son of the late Roland Adler, who ran Comet Caravans: one of Johannesburg’s most successful Campworld dealerships for many years. 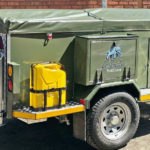 So, with big and small caravan manufacturers looking to bite into Jurgens CI’s slice of the pie, can one of the best caravan salesmen in Gauteng improve on 60 years of caravan manufacturing experience? We’ll see in 2018! For now, I would like to congratulate the hardworking team at Jurgens CI for their contribution to our industry. After all, their 2017 Jurgens Penta and Sprite Swing secured 4th and 9th place in our Caravan of the Year competition. What is Jurgens CI’s e-mail address. Need to obtain info on older model. Sadly we cannot give out email addresses on the internet.